Sometimes we need to make a card in a hurry without a lot of stash and embellishments. This is such a card. 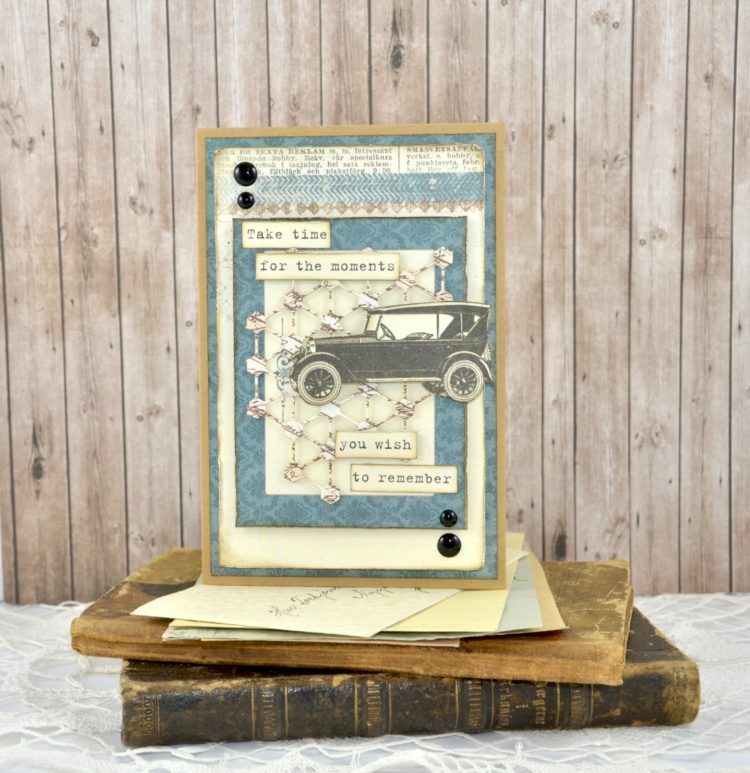 I have been using papers from “Mister Tom’s Treasures”, some dot’s and a die and thats it! 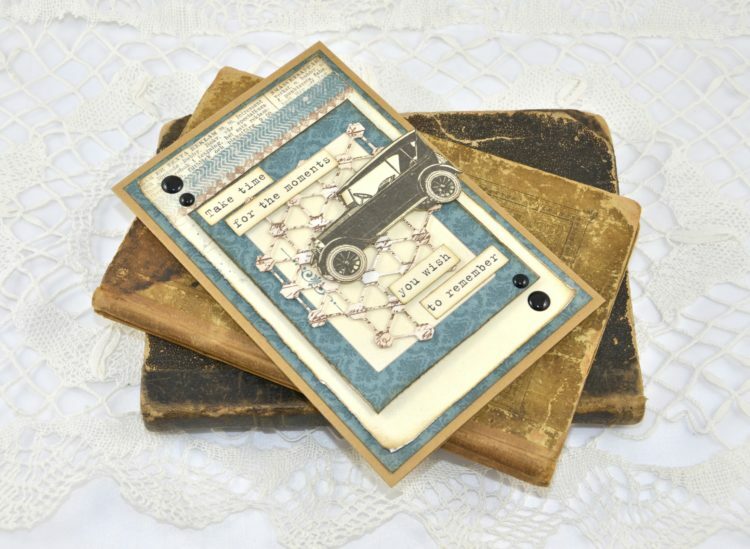 The papers are layered upon each other with 3D pads just to give this easy card some interest and dimension. I hope you got inspired to create!